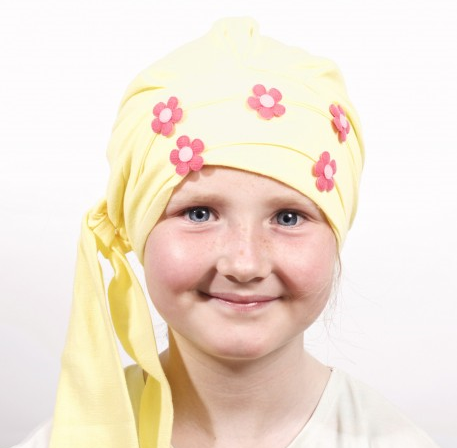 Beautiful girls cotton headscarf in lemon. Scarf is fully lined so will not annoy little heads. 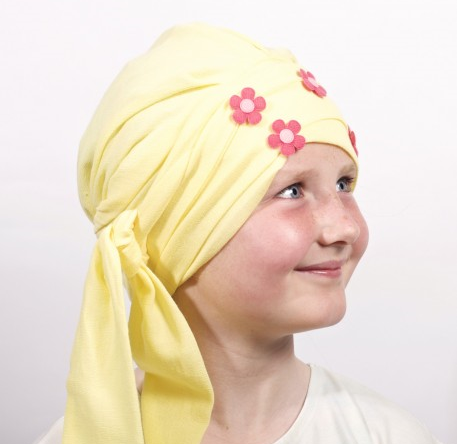 Hat shaped with long tails which can be knotted, wrapped around head or bowed. Accessorised with cute magnetic flowers which can be purchased from our accessory department.